Erica Burberry is an experienced counsellor / psychotherapist who works with children and young people (age 3+) and their families. She works with a wide range of issues and problems including: depression / low mood; anxiety; phobias; stress; exam stress; neglect; thought process issues (such as worry, rumination, perfectionism, need for control, intrusive thoughts); self-harm; trauma; anger; assertiveness; attachment issues; Attention Deficit Disorder (ADD); Attention Deficit Hyperactivity Disorder (ADHD); bereavement / grief; bullying; chronic illness; risk taking; panic; and many more issues. She is particularly experienced in working with children and young people where there are concerns about anger, anxiety, depression, challenging behaviour, low self-esteem, separation anxiety, and attachment issues and also with families with parenting challenges, including families who have experienced traumatic events or who are affected by separation, divorce, bereavement and loss. 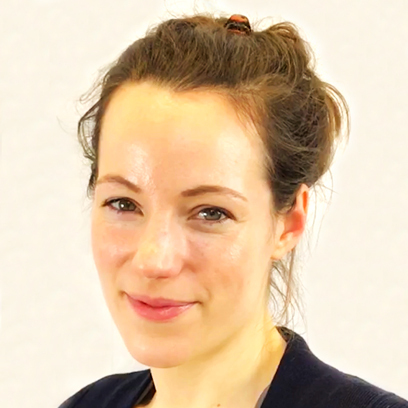 Erica uses a range of therapies in her work including counselling, psychotherapy, psychodynamic therapy, and systemic therapy. She works collaboratively with each individual and tailors her approach to suit each person's specific requirements. When working with children and young people, Erica's approach is psychodynamic, developmental and trauma informed. She will work with each individual in a way that best suits their age and stage as well as their personal preferences and other factors. Erica's work with families is informed by her training in systemic approaches to family therapy. She will facilitate a space and time for different perspectives to be heard and for new ways of moving forwards to be explored. She believes in the unique potential within each child, young person and family and uses creative techniques such as art and play in her approach to faciliate a gentle, nuturing environment. She works collaboratively and transparently throughout the therapy process. Erica began her career in the area of youth work before completing an MSc in Community Education. She has over 10 years' experience of working with children, young people and families in the voluntary sector and in the field of education in a wide variety of roles including the provision of school-based counselling and also as service manager for a holistic family support service. Erica has a Diploma in Counselling Children and Young People; a Foundation Certificate in Art Therapy; and she is currently studying at post-graduate level with the Family Therapy Training Institute. Erica is registered (and eligible for accreditation) with the British Association for Counselling and Psychotherapy (BACP). Erica charges £60 a session for self-funding clients. She also works with clients referred via their employer/organisation – for further details, please visit First Psychology Assistance.